You don’t necessarily have to overdo it until smoke comes out of your ears, but without a touch of chilli, dishes seem incomplete. We can’t think of Indian cooking without a dash of green chillies. Slit, sliced, chopped or diced, we just have to add a few green chillies to add that tang to our food. A green chilli is an important star to heat up cooking. This spice is grown throughout the year and so there is no scarcity and a good quantity is exported. Chillies are used with or without stalks. 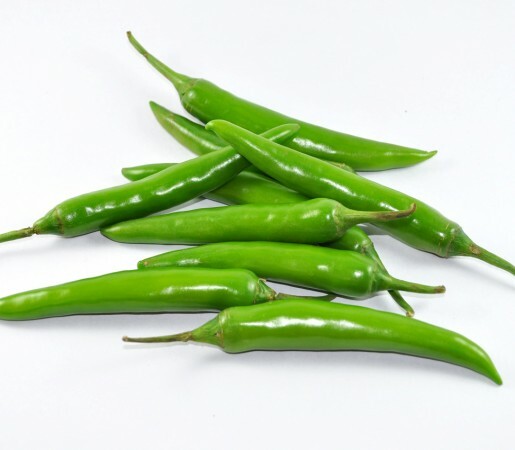 Green chillies are available fresh, dried, powdered, flaked, in oil, in sauce, bottled and pickled. It spices up a bland meal.